This book is an absolute must read for fans of The Black Dagger Brother series. I struggled to put it down once. When I picked it up again, I read the rest straight through. 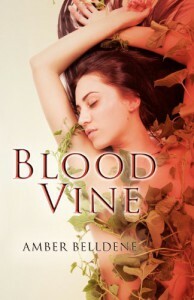 Blood Vine centers of the story of Zoey, sent to create a PR campaign for a new wine. Zoey soon discovers that her new client is a familiar face, one she's been unable to forget since their almost one-night stand. While she grapple with her unwanted emotion for a man she hardly knows, she doesn't realize her boss has knowingly set her in the middle of an ancient conflict between Vampires and Vampire hunters. Amber Belldene weaves the history and realistic folklore of her vampires flawlessly. Her writing is descriptive and emotive but doesn't get bogged down in unimportant details and as the result, the story flows effortlessly. The characters are diverse with not a cut out in sight. Each is instilled with a personality, motive, and flaws. Love them or hate them for their actions, they jump off the page and will not be ignored. 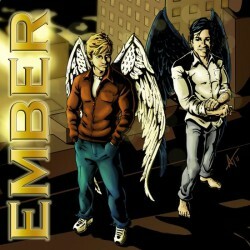 The main pairing are both shaped by tragedy of circumstance and must overcome their own barriers to be together. The internal conflict of both seemed real and heartbreaking. As far as I'm aware, there is another book to come. That's good because there is obviously still loose ends and a huge cast of characters to explore. The ending left me satisfied and yet, craving more of this world, the story, and characters.